Turns out I was on my own for dinner. My sister called me from work, and said she was picking up McChoke-n-Pukes McDonalds for dinner. She was kind enough to ask me if I wanted anything. That’s something, right? Strangely, I passed on that option, and went searching for appealing dinner ingredients. I decided upon two main ingredients. And this beauty I made my mom buy at the farmer’s market a few weeks back. Kabocha squash! I was pretty excited to see them at the market, and for a wicked price ($0.79/lb). I’d still never tried them…until now! So I set about cooking the risotto per package directions, while my kabocha wedges roasted in the oven (400 F for 45 min, with a light brush of olive oil to help it out). I think it turned out fantastic. I also steamed the small amount of broccoli left in the fridge, and stirred that into the risotto. Then it was plating time. 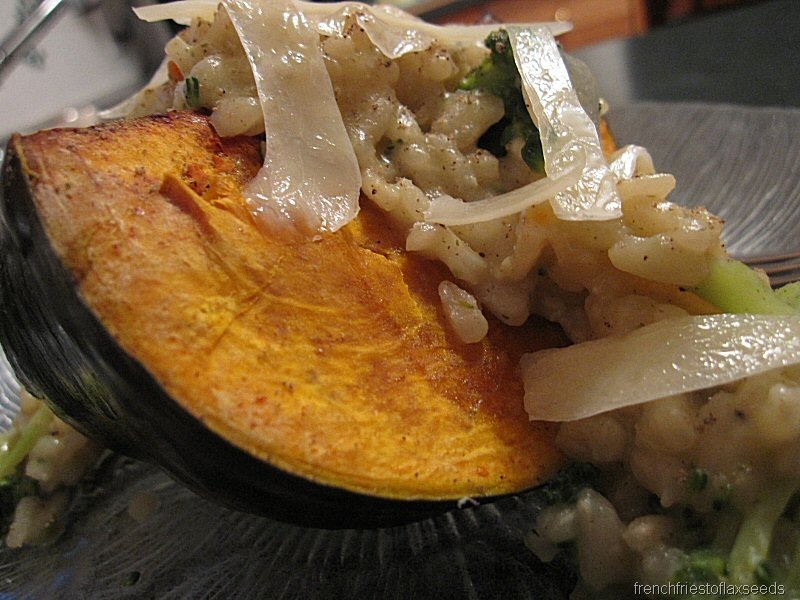 I filled one wedge (1/6 of the squash) with some risotto, and topped it with a little shaved parmesan. Now who would choose McShits McDonalds over this? I mean really. For a prepackaged risotto, it was quite good. It definitely benefitted from the addition of broccoli and parmesan, but it was a decent boxed dish on it’s own. 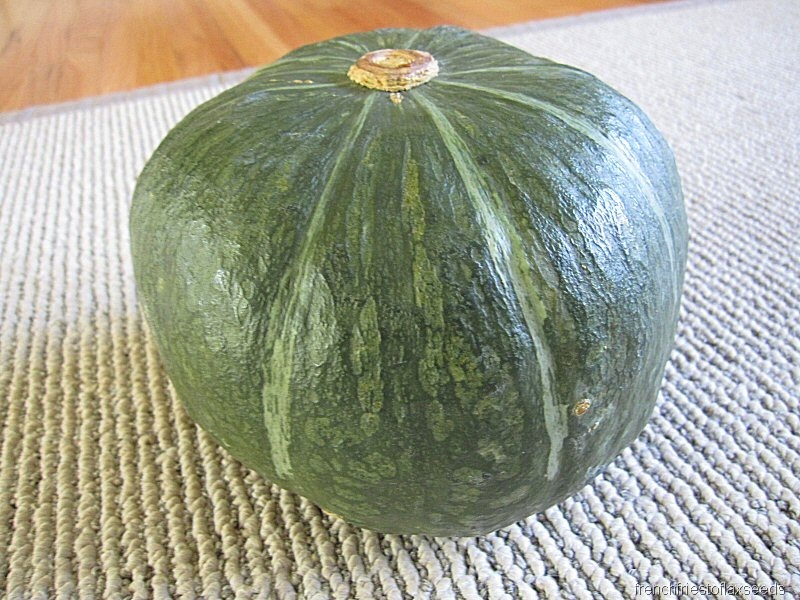 And the kabocha – totally not like any squash I’ve had before. It has virtually no stringy-ness, and such a sweet flavour. Similar to a sweet potato I find. I can totally see why people add this squash to sweet foods or breakfast oats. It was a really nice contrast to the savoury, salty risotto. This happy fan was then in the mood for a little snacky snack. I have an extra long day on campus tomorrow, so it’s time to get some shut eye. Night! 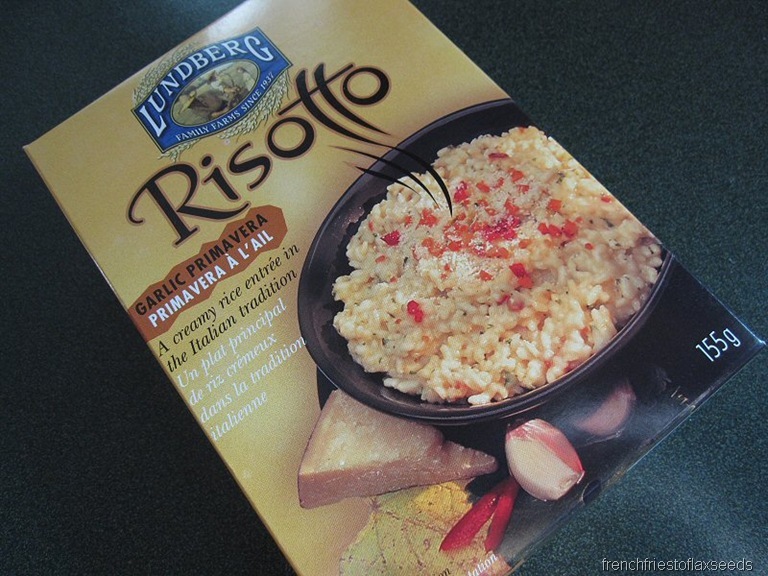 I love lundberg Risotto I tried a few other flavors and loved it all! I still haven’t tried kabocha! 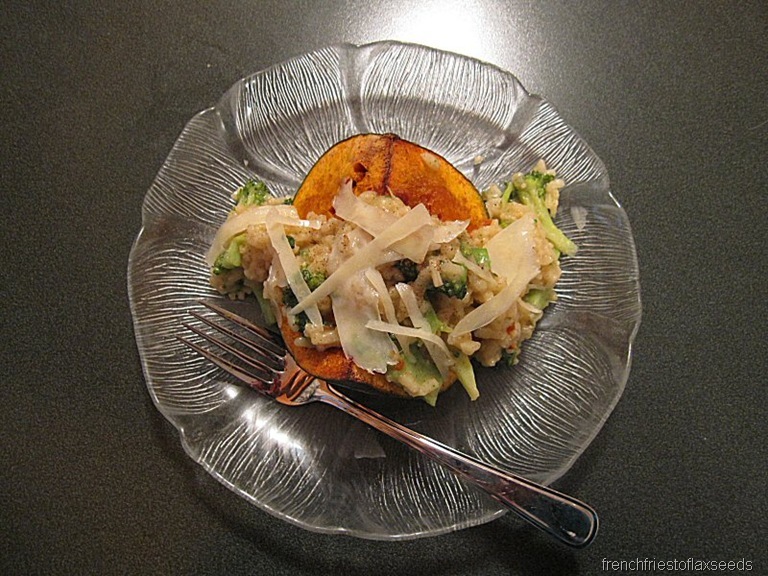 I love butternut and spaghetti squash, and I’m sure I’d love this one too. I just always forget to look for one. I like how you served it too! Haha, my dad calls Micky D’s ‘McRalphs.’ Your dinner looks MUCHO better!! Hopefully the Wings can take a note from the Canucks and get a win tonight! Wishful thinking, right?! WHAT A GREAT DINNER!!! No way would I eat Mickey D’s over that! Come cook at my house, K??? 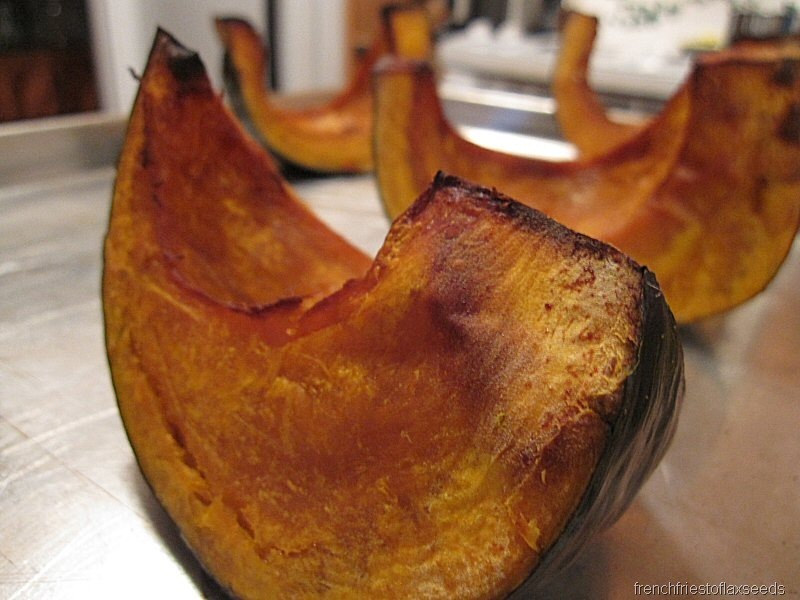 So glad you like the kabocha, it’s become one of my favorite foods lately. 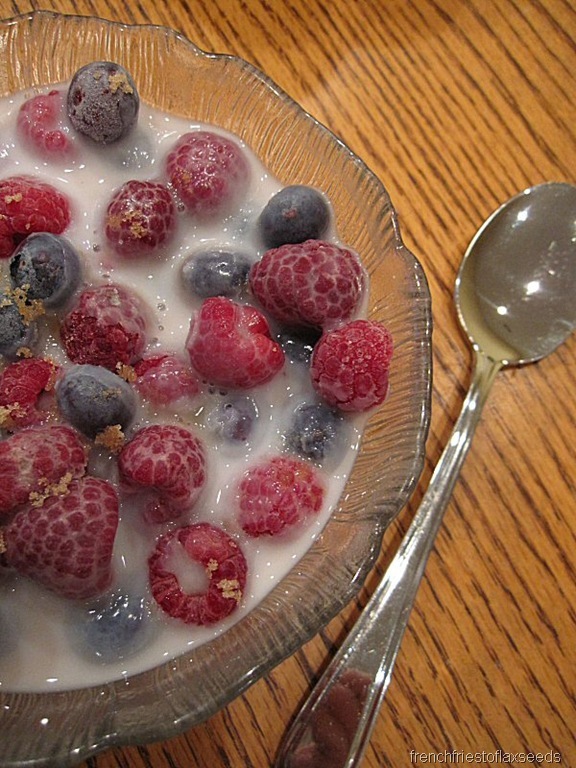 Try it with hummus – I promise you’ll love it! OMG, I laughed out loud at the McShits! I still have not not found that squash – I keep looking! 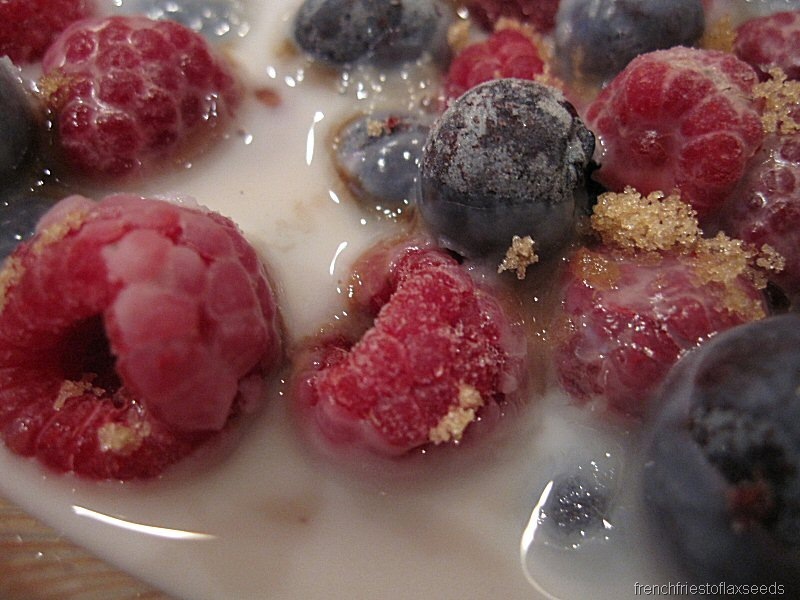 Yours turned out amazing! 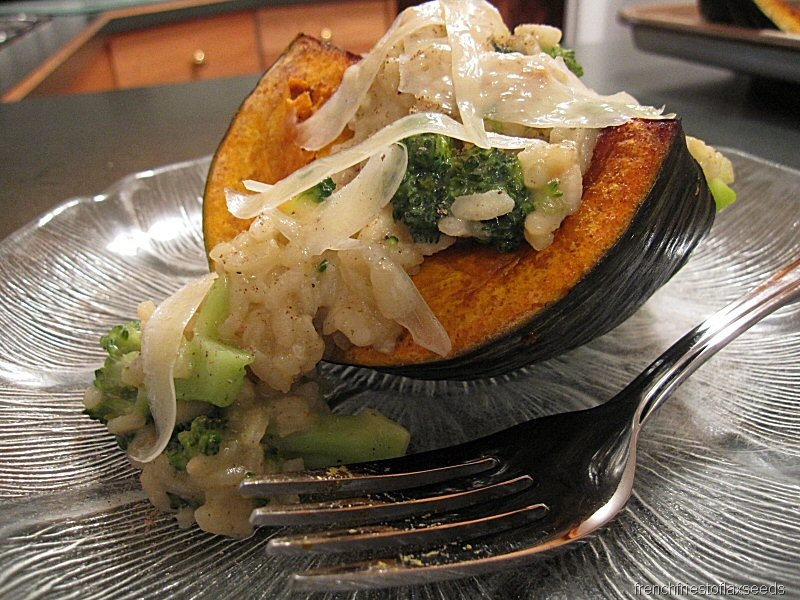 Super jeal of your kabocha–I can’t find it anywhere! i’ve never heard of that type of squash. i’m going to have to hunt it down and try it out. Dinner looks great. I was looking forward to cook my kabocha and found that it molded on me. Time to get another one.